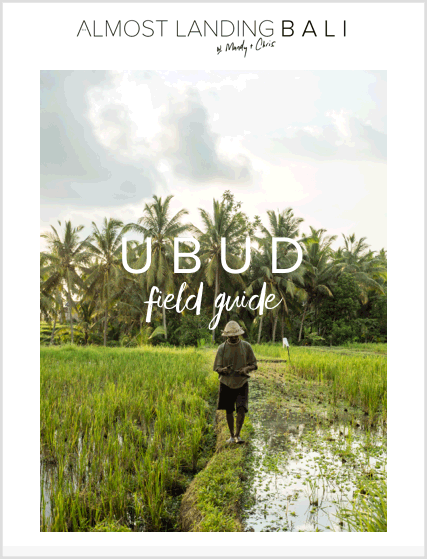 Super excited to announce our Ubud Field Guide is now available! 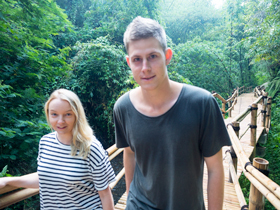 Our Ubud Field Guide is everything you need to hit the ground running. No need to spend hours, days or weeks researching before your trip. 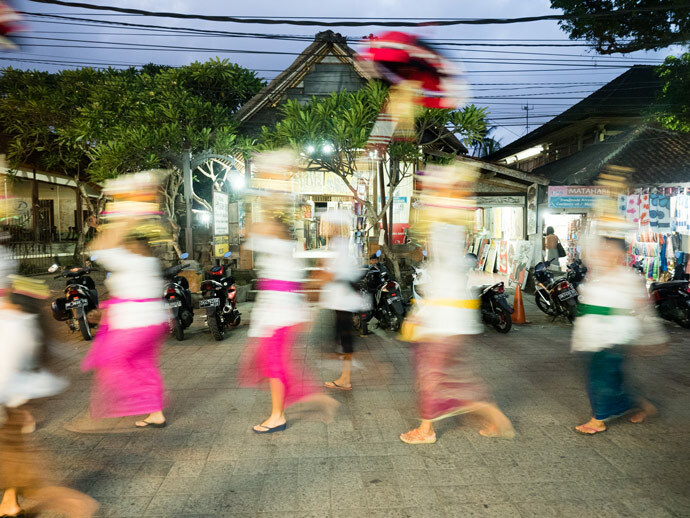 No need to read 500 pages of a travel guide to find out about every available restaurant and activity in Ubud. 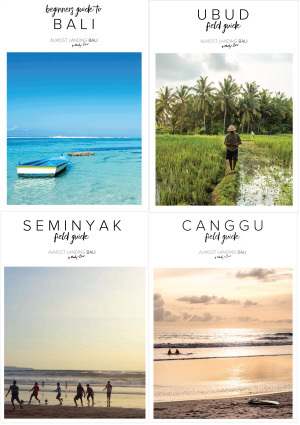 We have put together all our favourite finds from our years of travel to Bali and put them together with our own map of so you can easily find and experience the best of Ubud. 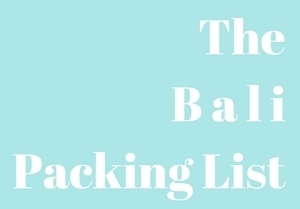 We created this guide not only to give you our absolute favourite recommendations but to give you an easy to way to use them. That’s why we have included maps pin pointing all of our recommendations, maps of where the best walks are and maps for our suggested walking itineraries. Using our Ubud Field Guide should mean little to no planning is required, both prior to your trip and during your stay in Ubud. 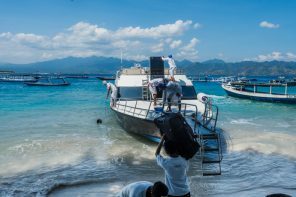 Of course there’s important information you need to know before planning your entire trip to Bali, but that’s where our Beginners Guide To Bali comes in. 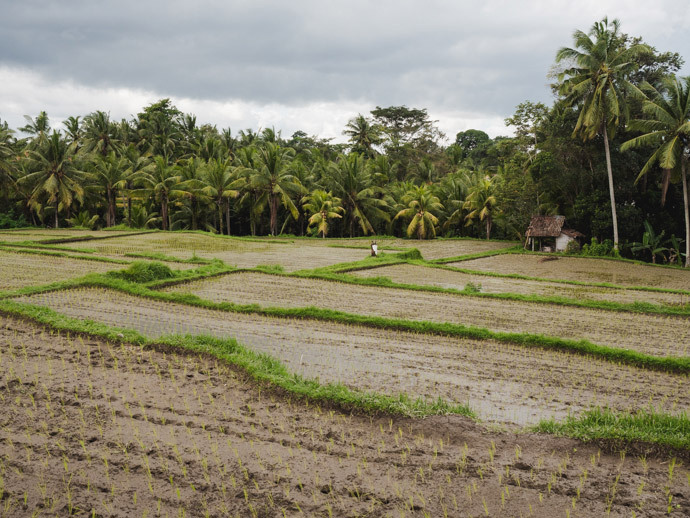 What’s Inside Our Ubud Field Guide? We created this guide because this is exactly what we would want when visiting somewhere new or somewhere we wanted to explore further. As much as I love planning for a holiday, sometimes after all the hours, days and weeks researching, and plotting it all on google maps, I get to the end and think, I wish I could have just arrived and paid someone I trust to do it all for me and then hit the ground running. 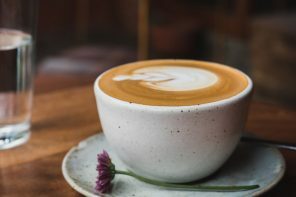 Part of the reason I love planning so much is because I want to know I’m tasting the most delicious food and exploring beautiful and scenic areas. But if there were someone I knew who could do the same thing for me, I know it would make the holiday that much easier to be in the moment and really enjoy. We hope to be that person for you. I can’t seem to order the guide as it is saying my zip is not acceptable. I am from Canada so I don’t really have a zip code. It isn’t accepting my postal code. 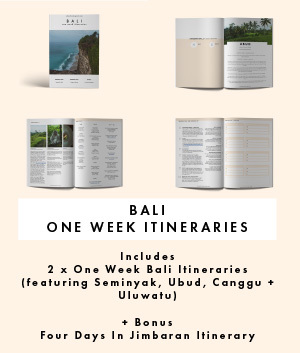 I am interested in getting the guide as I am hoping to spend a month in Ubud next summer. Thanks! Little bit confused as the payment form shouldn’t include an address/zip or postal code if you pay with credit card. The only thing I can think of is maybe the paypal option requires an address if you select paypal? Let us know which way you tried to purchase it and we can look into it. Very pleased with the Field Guide, will be very helpful on our trip. A suggestion though…I made a reduced size .pdf (it’s now 10MB) from it so it’s easier to store on our phone/tablet. Half a gigabyte is just too much. Thanks again for the great travel tips! Thanks so much for letting us know, we have now added a much smaller version (5.7MB), as well as the orgional, thanks to your suggestion. We have sent it through to you as well.